When Emerald Isle, NC first comes to mind it’s usually the beautiful beaches that surround the quaint communities of the Crystal Coast. 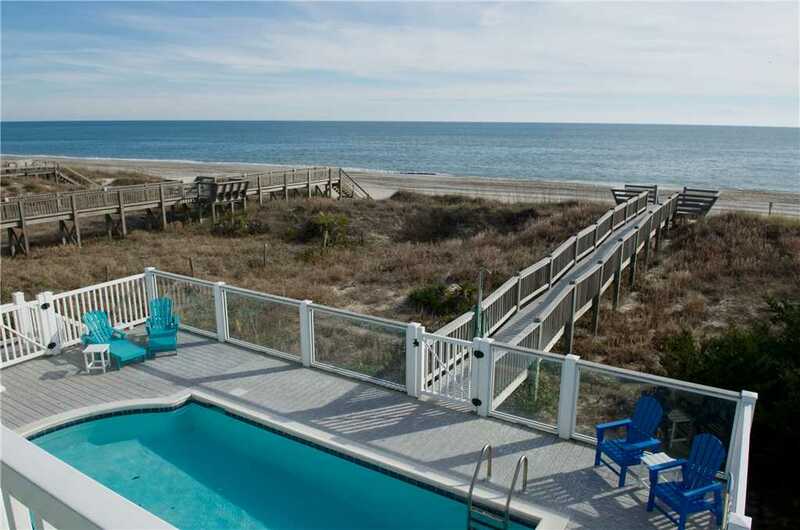 But this week’s featured property, Sea Angel will have you reminiscing of your stay at this stunning Oceanfront property. 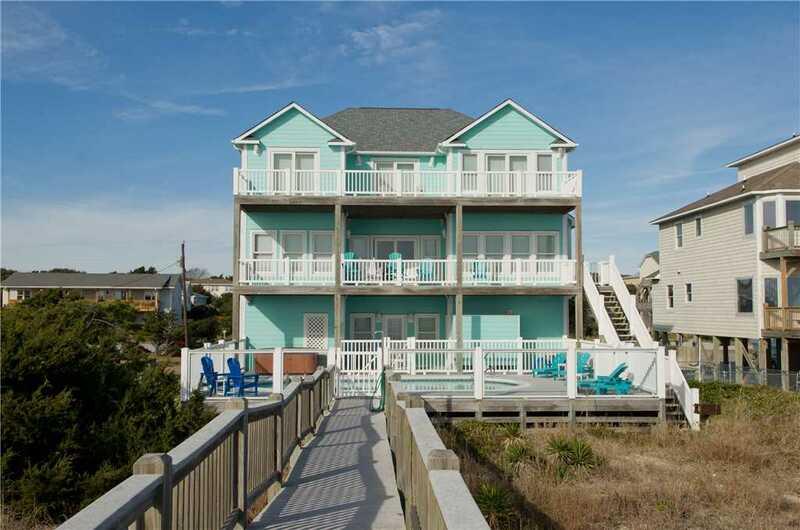 This larger, designer decorated home comes equipped with 6 bedrooms, 5 baths and all the bells and whistles you could dream of in your next vacation rental. 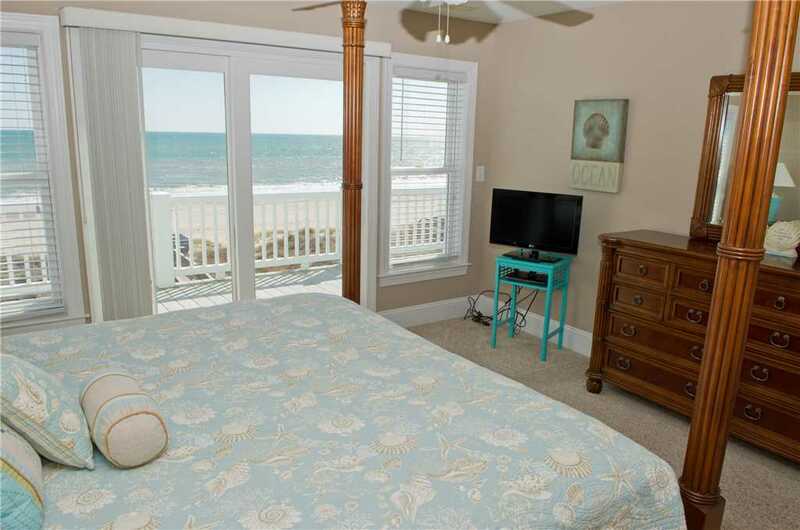 On the top floor, you will find the oceanfront master suites with private baths and both outfitted with whirlpool tubs for a nice bath after a long day at the beach. Three of the rooms open to oceanfront views that make it easy to wake up. 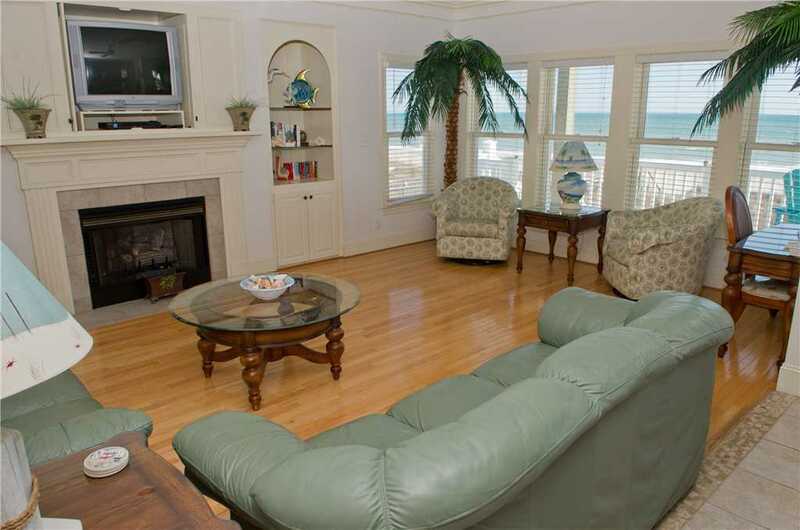 The large oceanfront living room will have you relaxed as soon as you walk in complete with a gas log fireplace for the winter nights. If you’re planning on bringing the whole family, there is ample amount of space in the open concept kitchen. With stainless steel appliances including the double door refrigerator and spacious granite countertops, meal prep will be a lot easier. 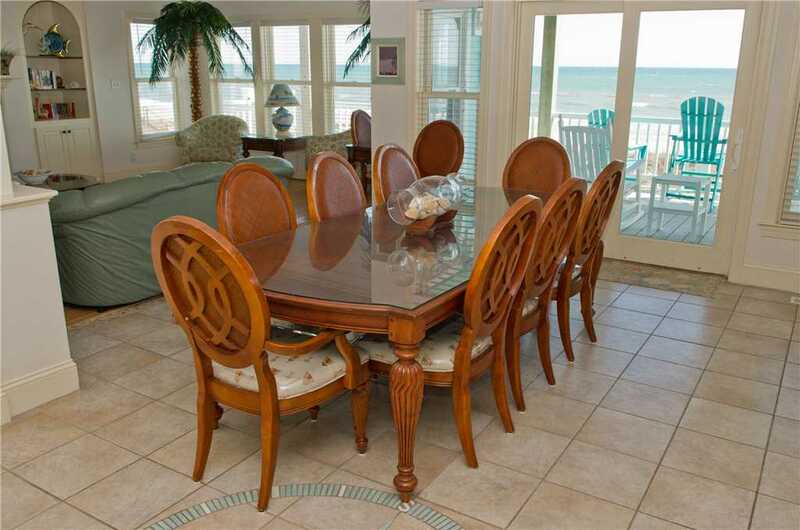 The dining table, which seats 8, is perfect for a large family dinner and you can also sit an additional 4 guests at the island bar with plenty of space for afternoon snacks or evening cocktails. 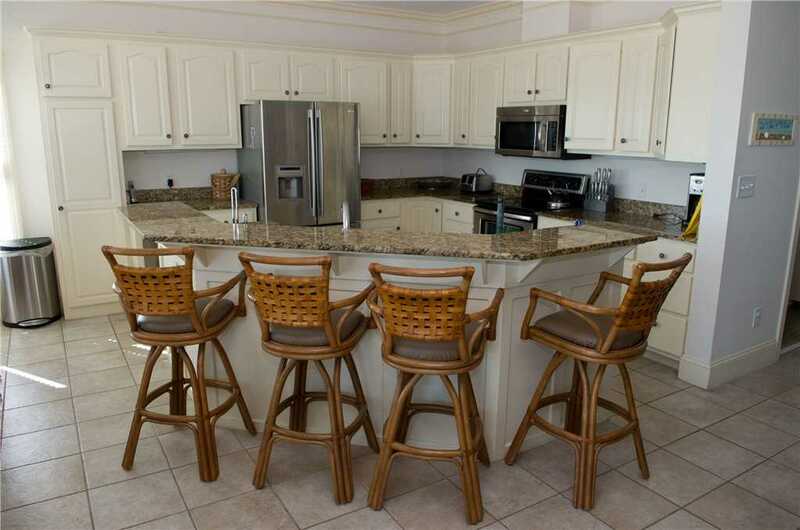 The most delightful part of the kitchen is the oceanfront breakfast nook that seats 6 and boasts stunning views accompanied with your morning coffee and eggs. This running theme of Sea Angel is space! The property is so large it even includes its own elevator making for easy trips from the top floor master suites to the poolside rec room on the first floor. 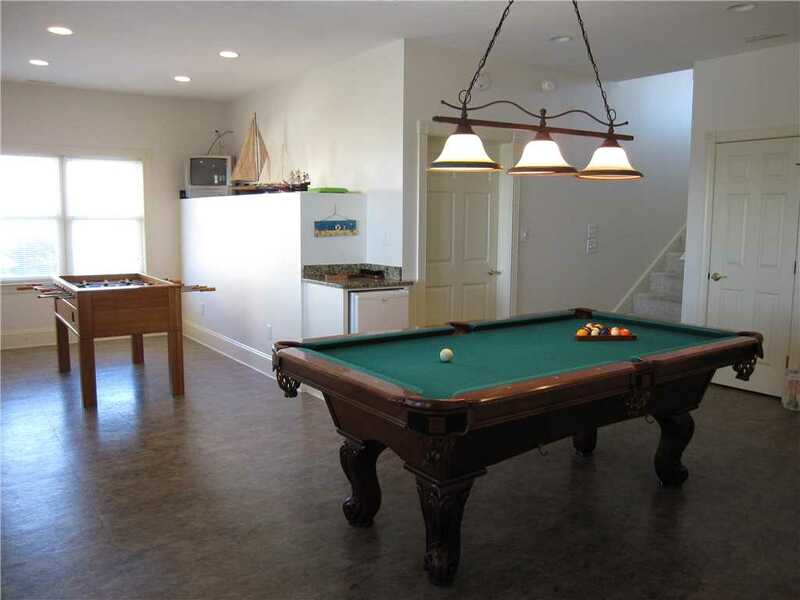 A pool table and foosball table make up the rec room, which is perfect for taking a break from the sun after an afternoon at the beach. Just outside you will find yourself surrounded by a beautiful deck with plenty of fun for the adults and kids. Rockers, tables, and poolside lounge chairs surround the 15 x 24 swimming pool. 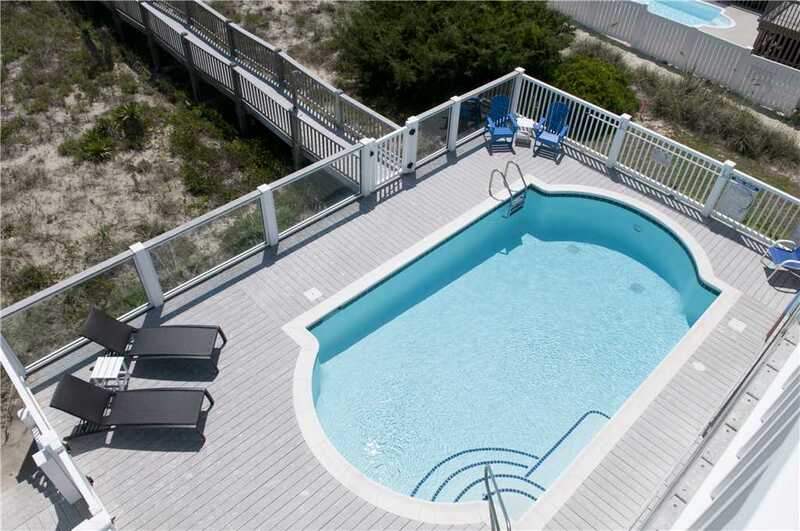 For an extra fee, the pool can also be heated during the colder months or just take a dip in the hot tub spa. 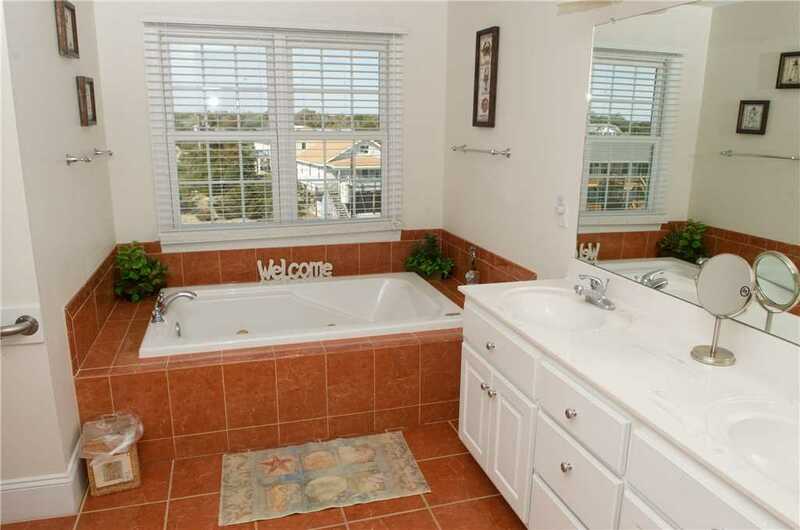 The ocean is only steps away for a day of fun at the beach and when you return from your beach adventures, rinse off in the enclosed hot/cold outdoor shower. After long days of fun, it’s time for some rest and relaxation. Another hidden gem in this already jam-packed property is the theater room equipped with a wide-screen TV, surround sound, DVD, CD, and stereo so the kids can wind down with their favorite movies on the queen sleeper sofa. 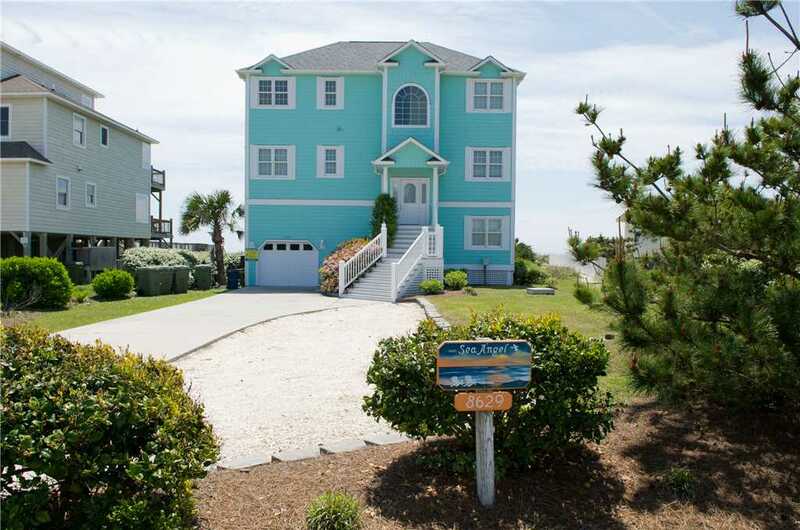 With availability throughout the year, anytime is the perfect time to make Sea Angel your home during a vacation to Emerald Isle.  Check rates and availability, and view more stunning property photos of Sea Angel, where you haven for relaxation awaits! See what a previous guest had to say about their recent stay.